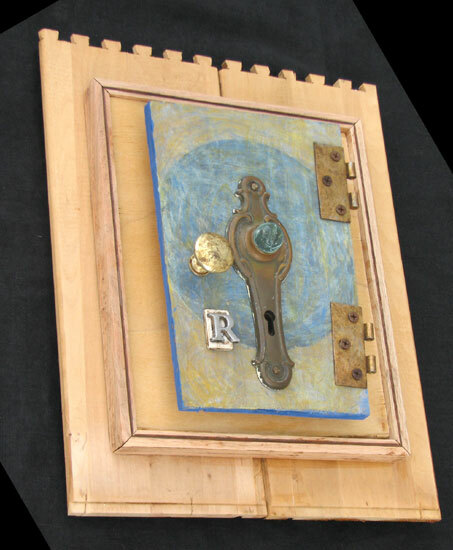 “Door Marked R” assemblage sculpture. found objects, wood, adhesive, acrylic paint. 12 in x 15 in x 4 in.